We live in a Cheetos-obsessed world, and we’re not complaining. Flamin’ Hot Cheetos ice cream is very much a thing. A Flamin’ Hot Cheetos movie is in the works. People even make Flamin’ Hot Cheetos turkeys at Thanksgiving. So it’s no surprise that one of the world’s most recognizable restaurants has found yet another way to get inventive with the cheesy snack. Back in April, Applebee’s debuted a new menu item called the Cheetos Burger Bomb. But there’s just one catch: You’ll have to hop on a plane to sink your teeth into one. Applebee’s teased the Cheetos Burger Bomb on its United Arab Emirates Instagram account. Unfortunately, it’s only available in the UAE. But that’s not going to stop us from salivating over it from afar. According to Chew Boom, the Cheetos Burger Bomb includes a “Thick N Hearty” beef patty, lettuce, pickles, onions, cheese, and beef bacon, all on a massive brioche bun. As if that weren’t enough to make your mouth water, the entire Cheetos Burger Bomb is then fried in Cheetos tempura batter and dusted with our new favorite delicacy: Cheetos dust. YUM. Because there’s no such thing as too much cheese. So, how can you get your hands on the Cheetos Burger Bomb? The Cheetos Burger Bomb is an exclusive limited-time-only offer, and only VIP members can order it. 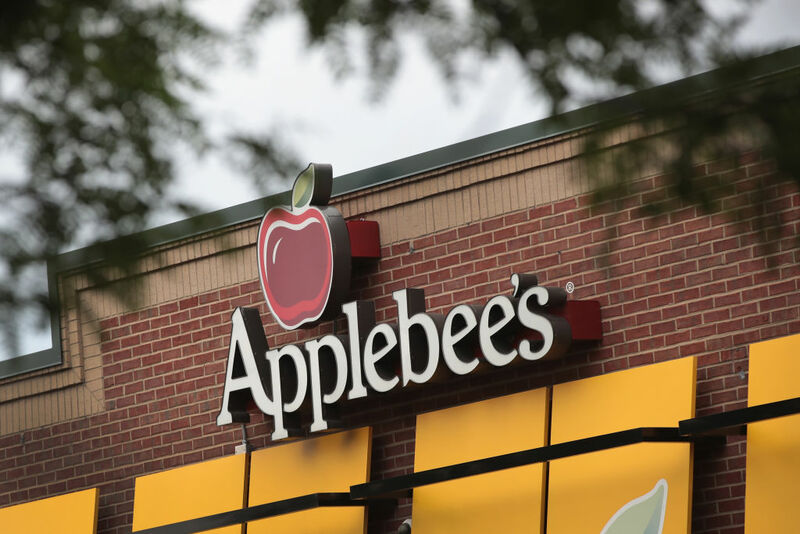 All you have to do to join that elite group is sign up for Applebee’s emails. And let’s be real, they have great happy hour specials anyway. So keeping tabs on their new deals and exclusives is a good idea. Still not convinced? Feast your eyes on your new favorite indulgence. Oh, did we mention that it comes with curly fries and aioli?! It all legitimately looks like the bomb dot com. See you in Dubai!